For those whoa��ve walked the streets of old Delhi, the lingering aromas of kebabs, parathas, and biryani create a forever kind of memory. History has a lot to do with it, given that most of these dishes date back to the era of Mughal kings. And once in a while we come across food enthusiasts. Coming up this week is a food promotion hosted by The Oberoi, and curated by Osama and Nazish Jalali, which will take us back to Delhi of the yesteryears. 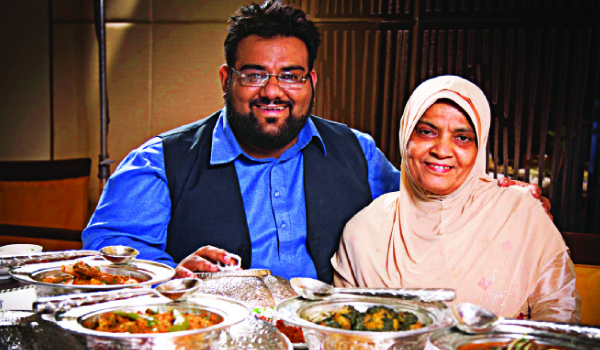 A mother and son duo whose roots go back to the Mughal era of old Delhi are bringing their love for the cuisine to the city. Talking about the promotion, Osama says, a�?We wanted re-introduce the younger generation to the legacies of North Indian, and in particular Mughal cuisine. The dishes for this promotion have been selected to balance the familiar with the new. People will also discover dishes that are no longer found in commercial or popular establishments, as they largely cooked in the traditional homes of old Delhi.a�? So what you get is a curated buffet of dishes that recounts the flavours of the past a�� royal and common a�� as the two lay a spread for Bengaluru, featuring some of their signature dishes such as the Dilli ki nehari, kathal ki galaouti, maash ki daal, khandaiyaan, etc.